Star Wars: The Last Jedi Giveaway in 4K UHD on Vudu! As of THIS WEEK you can bring The Last Jedi digital release into your home in 4K + Dolby Vision HDR with Dolby Atmos sound via Vudu on 3/13! As a bonus, you could also win one of 7 Vudu Digital Download copies of Star Wars: The Last Jedi!! Read on to find out how. This is the first Disney movie to offer both the enhanced color range of Dolby Vision and the immersive sound of Dolby Atmos, technologies that have long been a part of Vudu’s UHD quality offering. But don’t worry if your device isn’t Dolby Vision capable because Vudu’s got you covered with HDR10 support as well as Dolby Digital Plus 5.1. Because we want to bring more HDR to more devices and screens, we support both HDR formats for Star Wars: The Last Jedi and over 180 additional titles. Plus, your pre-order will also get you a $3 movie credit when the movie is released. If that isn’t enough, your pre-order also qualifies you for a special offer on Star Wars: The Force Awakens for just $12.99 HDX. Why HDR10? Lightsabers will glow brighter and more intensely during battle scenes, the low-light darkness of the dark side will have more depth and look more sinister, and explosions will look amazingly detailed and realistic – you might even find yourself ducking from the flames. Heck, porgs will even look porg-ier. (Ok, that one’s not entirely true.) Basically the brightness, contrast and color is greatly improved. HDR amps up the range of both contrast and color significantly, so colors are brighter, darks are darker, and you can see more of all the colors in between – otherwise known as Wide Color Gamut. 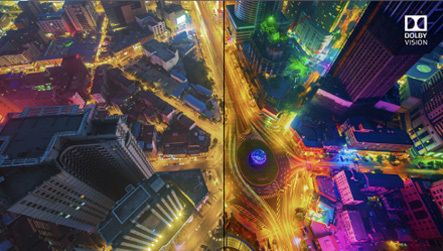 So if you think about how amazed you were when you saw the difference between 1080p HD and 4K, imagine the same thing in terms of richness and brightness of color. That’s the Dolby Vision and HDR10 difference. Winners will be contacted via Twitter and announced tonight, 3/12/18. Giveaway Rules: Giveaway ends on 3/12/18. These codes can be redeemed at www.vudu.com/vuducodes at any time. A credit card may be required to complete account setup but users will only be charged for additional content they rent or purchase. There will be no charge associated with redemption of their free copy of Star Wars: The Last Jedi. Vudu is a US only service so unfortunately these should not be offered to your international fans.